Daggers Diary: Stelling, What's the score? 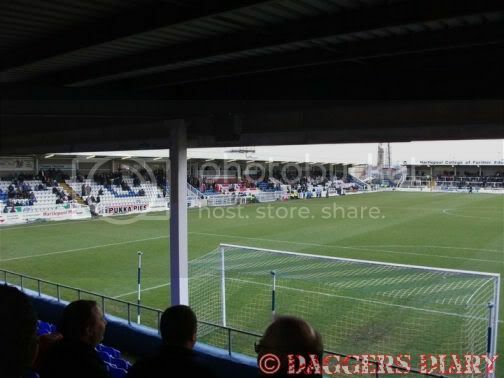 Victoria Ground, located in Hartlepool. As a football supporter, I love away fixtures. Its hard to say I love them in the same way as I love home games, but nevertheless I love them – and certainly not to a lesser degree. But, one might be excused for saying that the effort required to haul yourself to various unattractive parts of the country is far greater than jumping on a bus to the pub and then onto the ground and returning home on a Saturday in time for tea. These games are where the feeling of being the twelfth man really spring to life. much for one main reason – lack of Rainbow Riches machines. ‘Extra’ Service Stations, take note – get this issue rectified! nervous twitch that your belly does when you are passing a lorry that cant seem to stay in its own lane. I like seeing the other motorists and wondering where they are going, and I like to look out for odd cars – old ones, American ones, whatever isn’t the standard norm. This wind though, was something else. My car was literally being pushed sideways by extremely strong gusts. Brief respite was afforded to me when passing lorries, but as soon as my vehicle was again exposed it was the same story. However, I managed to travel as far as Wetherby before stopping again. This was to be my longest of stops, as I knew that beyond this was only around an hours drive further. Disappointingly this season, when driving to away games, I have noticed a lack of away supporters in Service stations – Wetherby was to be the exception though, as it was literally teeming with Altrincham supporters on their way to Blyth Spartans for their FA Trophy fixture, a game the BSP strugglers lost 2-1. 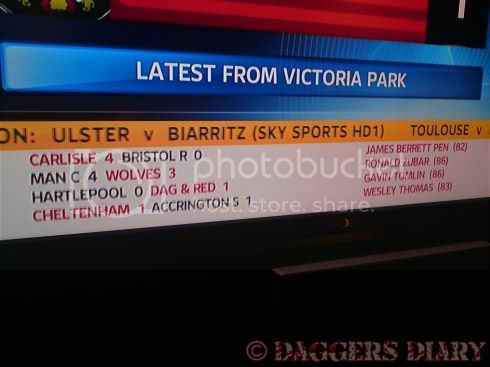 Potentially a league fixture next season? I have fond memories of Altrincham in our non league days – if im honest, I don’t like to see them struggling, but its becoming an increasingly often occurrence these days and in previous seasons they have hung onto BSP status only at the loss of other clubs for financial reasons and so on, and with the current crop of ‘bigger’ teams now plying their trade at that level, it looks likely they wont be able to hang on forever. Regardless, best wishes to them for their season, they struck me as a decent group of committed fans…reminded me of us. Middlesbrough entirely. Some places are good, some places are bad – and then, there is Middlesbrough, the dirty spoon amongst the cutlery drawer, the grubby face of the impoverished child in a school photo where his classmates have all been cleaned up by a parents spittle on the corner of a handkerchief. Really, I cannot say enough about Middlesbrough. Its like a modern day polio colony – I say modern day, theres not a lot modern about Middlesbrough seemingly. I was pleased that the road took us up a height and over the city. What a dive. game has to have been Jon Nurse, whose ball on 86 mins found Gavin Tomlin, whose usual high work rate was today rewarded with his second Daggers goal. Particular mentions have to go to Scott Doe, whose defending was terrific throughout, and to Femi who could easily have been sent off early on had it not have been for a moment when the referee played advantage – he calmed down suitably and didn’t receive further inspection from the short ugly bloke in black. Finally, a mention to Mr Monkhouse of Hartlepool – when in future you lunge out at goalkeepers feet first do not accuse them of doing the same, clean up your play young man, and stop crying when your reward is a foot in your own face (nearly!). After a bizarre decision was given to pay 4 mins stoppage time (my biased cap tells me that it was closer to 11 seconds) it was of great relief when the whistle was blown and it was certain that the three points would be coming back to Essex with us, for our third away win of the season. After shaking hands with my comrades and being wished a safe journey home, I made my way back to Dagenham in high spirits, my mood only dashed by finding out that Yeovil had also managed to win. 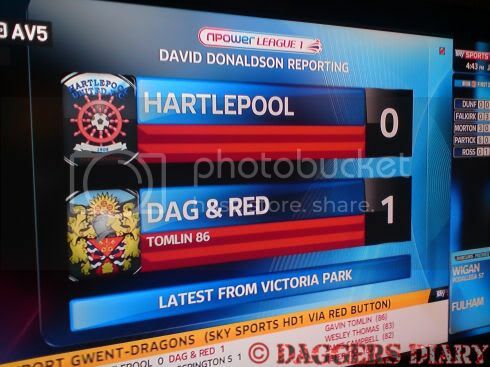 More of the same at home please now Dagenham – should it come to May and we go down, nobody can say the effort isn’t being applied on the park, and indeed, on the terrace. We are fighting like we always do. No surrender. Time to believe again!